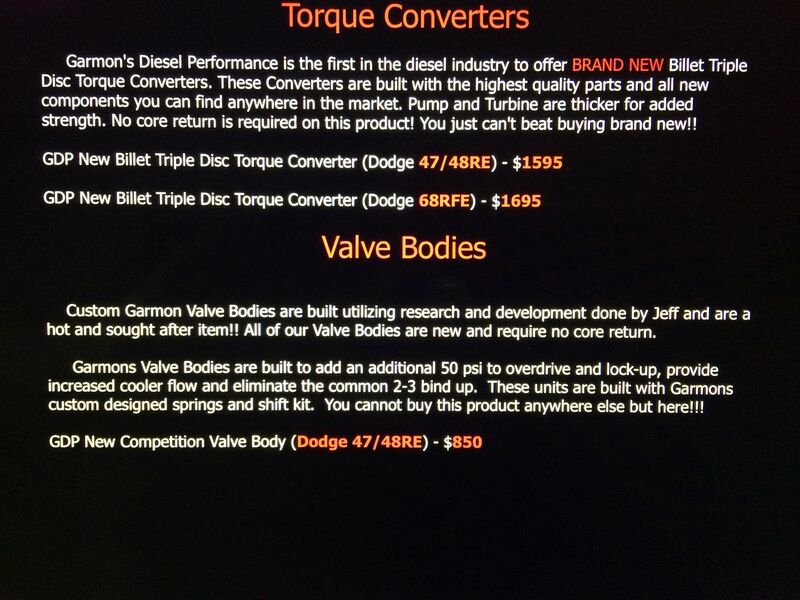 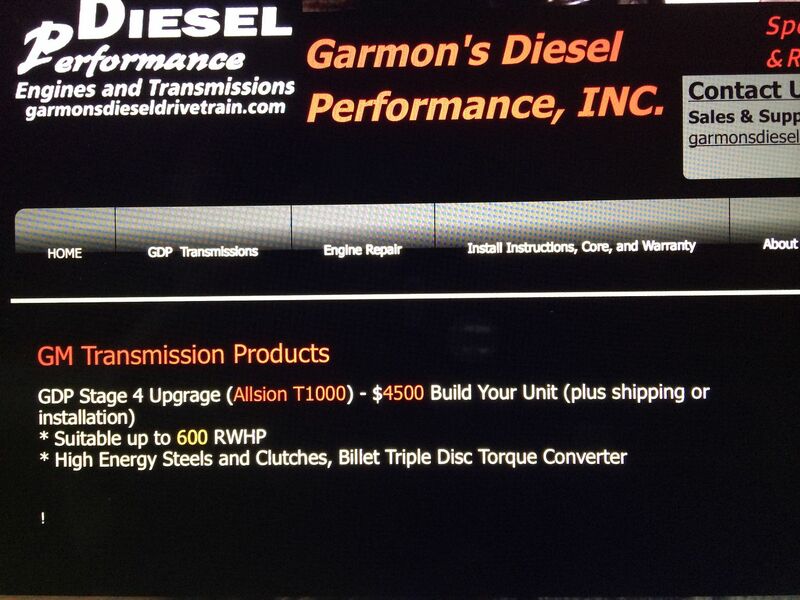 Please check the Garmons Diesel website for all current pricing and updated information but I have provided screen shots of the pricing pages for your convenience here of CompD as of June 11th, 2014. 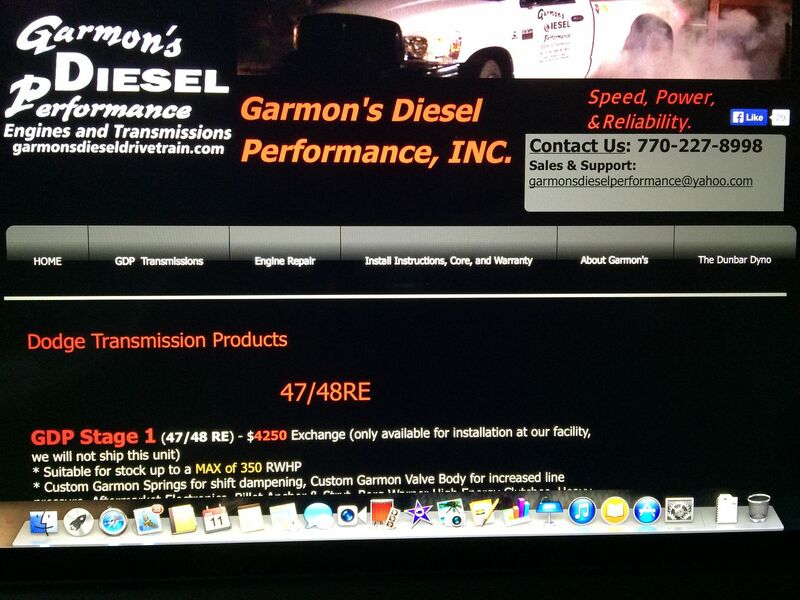 Garmons Diesel wants to thank each and every customer for their business with us. 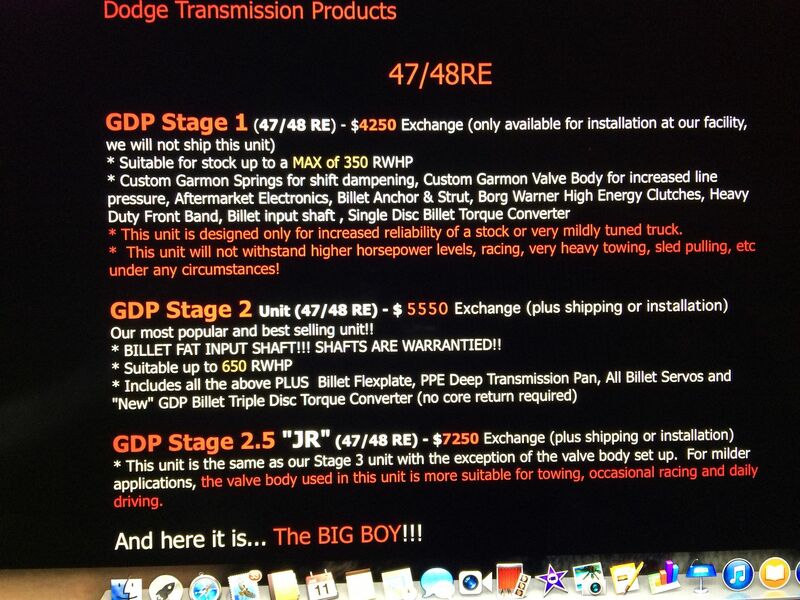 The Warranty for the new Fat Shaft Dodge Transmission is second to none. 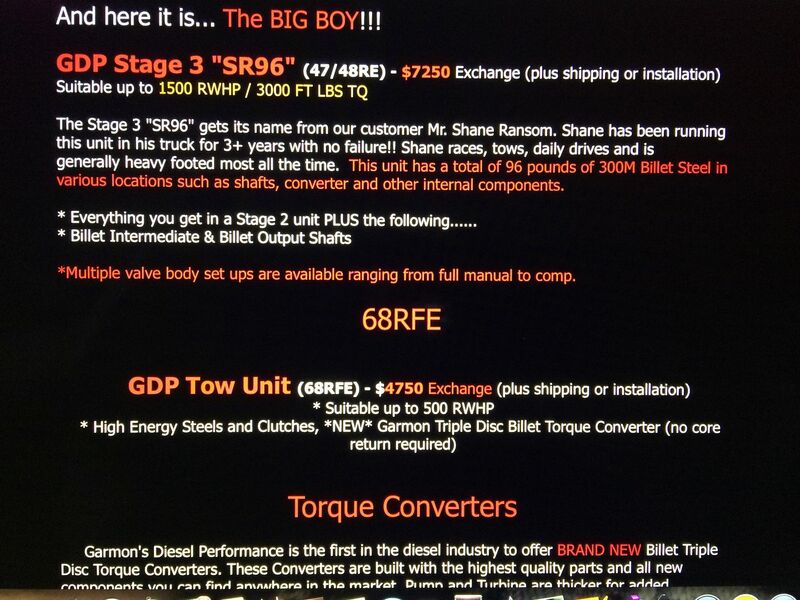 Check this thread for pics and info on the new Fat Shaft. 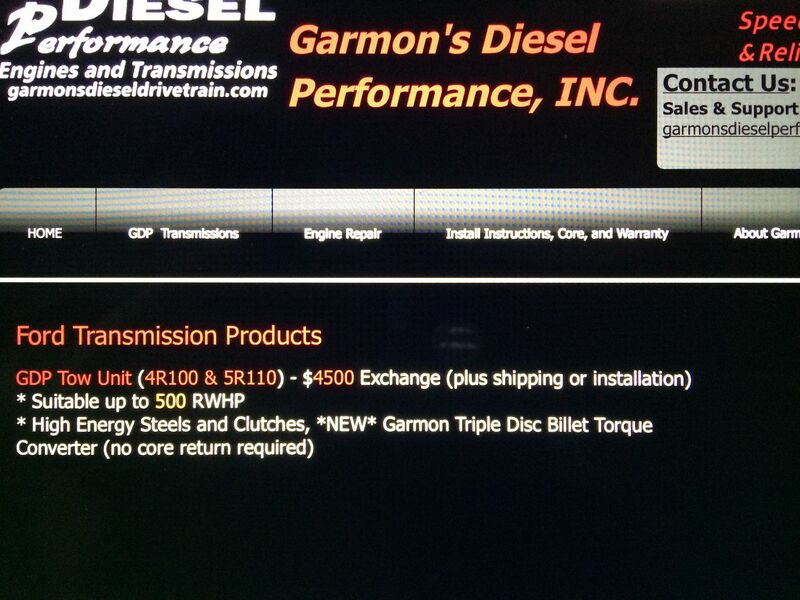 Purchasing them separate shipped, correct? 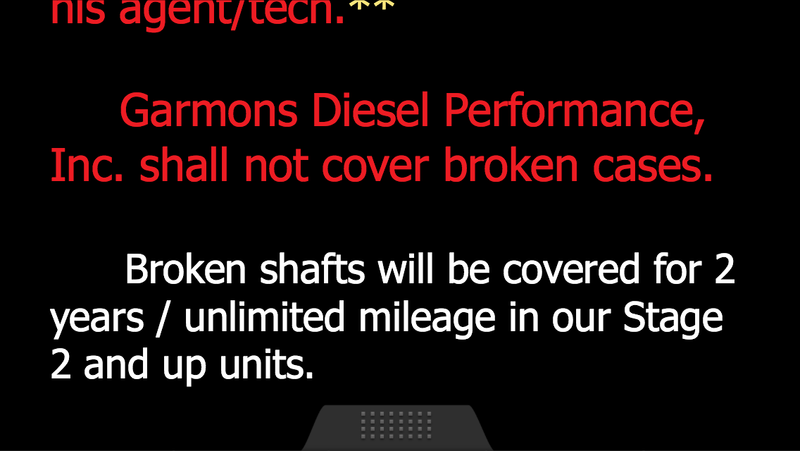 As in these two pieces only?